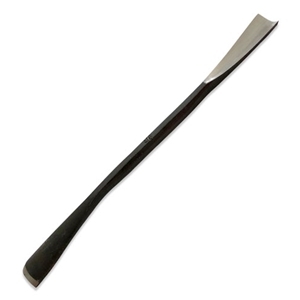 This professional-grade, hand-forged high carbon steel gouge has 2 unique chisel ends used to carve plaster and make key groove channels for plaster molds. One chisel end has a shallow sweep while the other's sweep is deeper. Approximate length - 8". Width of the gouge sweeps: approximately 5/8".